Vitamin D is an essential vitamin that helps your baby’s body absorb calcium for strong bones and teeth. It’s a useful complement to help provide optimal nutrition for a healthy baby. The american Academy of Paediatrics (AAP) recommends using vitamin D supplements in the prevention of rickets and vitamin D supplements in the prevention of rickets and vitamin D supplements in the prevention of rickets and vitamin D deficiency in infant, children, and adolescents. Infect rickets in infants attributable to inadequate vitamin D intake and decreased exposure to sunlight continues to be reported in the world. 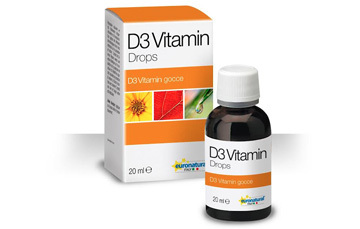 There are also concerns for vitamin D deficiency in older children and adolescents. Because there are limited natural dietary sources of vitamin D and adequate Sunshine exposure for the cutaneous synthesis of vitamin D is not easily determined for a given individual, the recommendations to ensure adequate vitamin D status have been just revised to include all infants and older children and adolescents. 12 drops (0,5 ml) twice a day.